1. Power: 2.3x. Lens For Binocular numbers RBM 100A and RBM 110. 2. Power: 2.7x. Lens For Binocular numbers RBM 100A and RBM 110. 3. Power: 3.5x. 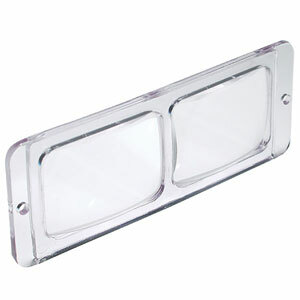 Lens For Binocular numbers RBM 100A and RBM 110.